Obstructive sleep apnea (OSA) is a medical condition in which individuals experience multiple interruptions in their sleep patterns due to sudden pauses in breathing that can last as long as 20 to 40 seconds. Long term implications associated with OSA include high blood pressure, stroke, diabetes, cardiovascular disease, and weight gain, which can lead to obesity. 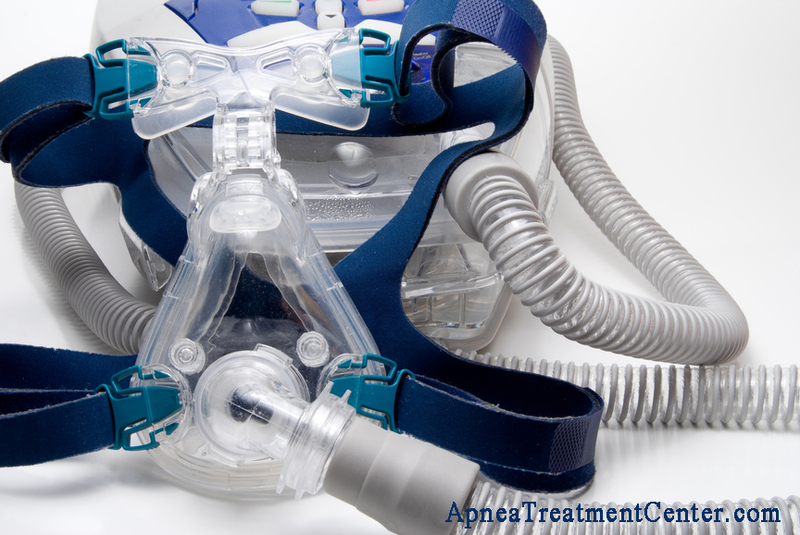 Continuous positive airway pressure (CPAP) is a breathing therapy offered to patients who suffer from OSA. Considered one of the most effective treatments, CPAP provides a constant flow of air to help patients sleep better and significantly decrease episodes of apnea experienced throughout the night. When properly used, individuals can considerably decrease their risk of serious health problems later. However, the device is not useful unless worn continuously throughout night on a regular basis. Unfortunately, by some estimates, up to 75 percent of CPAP users do not fully comply with their prescribed CPAP treatment. The reasons for noncompliance vary from one individual to the next, but there are some common problems reported more often than others. Understandably, many CPAP users to experience some initial discomfort. But discomfort should subside within a few days, once an individual adjusts to the machine and wearing the mask when asleep. However, some users continue to have significant discomfort or sensitivity. This is not a normal part of CPAP therapy and is important to address. 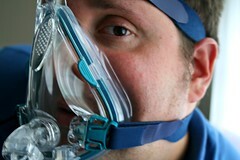 In some cases, such as improper mask fit, a CPAP user should consult his or her prescribing physician to begin resolving these issues. It is likely that the physician has heard a similar concern at some point in his career, which increases the probability that he can offer a viable solution. Still, some of the most common issues associated with CPAP do not require a physician’s intervention. Below are some of these problems and the potential solutions that may enable users to fully benefit from their CPAP treatment and substantially improve their quality of life. 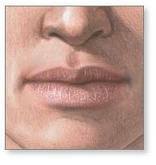 Typically, nose or throat irritation results from by the dryness of the air that is continuously delivered through the unit. Throat or nasal irritation can also be caused by a build-up of bacteria in CPAP equipment (which can be remedied by using an automatic CPAP cleaner like the SoClean CPAP cleaner). Additionally, some users may notice congestion or a runny nose, this is because the body increases mucus production to defend against the dry air. As a result, cold symptoms, such as runny nose, sneezing or congestion, can ensue. Fortunately, these symptoms can usually be easily remedied by increasing moisture. To do this, CPAP users can choose to employ a humidifier or use saline nasal spray. Similar to nose irritation, dry mouth is often due to dry air and usually resolved with the help of a humidifier. However, for some, sleeping with an open mouth is the root. If is this is the case, there are chin straps that may help individuals keep their mouths closed during sleep. Conversely, a full-face mask, that fits over the nose and mouth is helpful to individuals who have limited success with the chin strap. Pain or pressure in the sinuses or chest frequently stem from excessive pressure. Although pressure is essential for CPAP therapy, beginning with a lower level of pressure and gradually increasing to the fully desired amount as the night progresses can reduce pain and discomfort. Often the result of an ill-fitting mask, skin and eye irritation can become serious problems if ignored for too long. When air from the CPAP device is not contained by proper seal, it flows upward and directly into the eyes and surrounding skin. 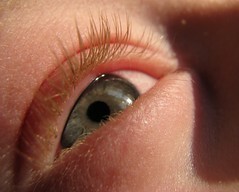 This can lead to dry, chapped skin and watery, irritated eyes. Adjusting the mask can usually resolve most of these issues. You can also purchase a chin strap (such as the Respironics Premium Chin Strap) to keep your mouth closed while sleeping. However, if the problem persists, an individual may want to consider choosing a different type of mask. 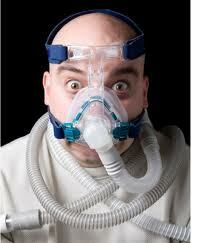 For most people, CPAP treatment ceases morning headaches. However, some users acquire headaches or ear pressure due to the treatment. This is primarily attributed to underlying sinus problems. If this is the case, sleep specialists often recommend decongestants or antihistamines, but users should exercise caution and consult their physicians to rule out a more severe condition. For some people, the air from a CPAP unit can feel too cold, while others may find it too warm. Depending on the specific problem with the temperature, there are a few solutions that may create a more comfortable experience. The first matter is the temperature of the room, as the air may feel a certain way in contrast to the outward climate. Additionally, individuals may want to consider the use of a heated humidifier or running the CPAP tubing under the blankets to take advantage of body heat to regulate the air temperature. When CPAP the rapy was in its infancy, the technology was a little inferior by today’s standards. Thus, the machines were extremely loud and cumbersome. Conversely, modern machines are much quieter and more manageable. Therefore, finding relief from a noisy CPAP unit is sometimes as simple as upgrading the unit. While this may seem expensive, may insurance companies will accommodate requests for new equipment. If an exchange is not an option, individuals can employ a low radio, fan or white noise machine to camouflage the sound of the machine. Sleep is arguably the single-most important factor that contributes to an individual’s health and well being. However, those suffering from OSA spend the better part of their nights struggling to breathe or constantly waking up gasping for air. And while many are unaware of these problems during their occurrence, they are painfully aware of the consequences. Lack of restful sleep takes a toll on the way people feel and how well they function during normal daily activities. Fortunately, for most people, the symptoms of OSA are easily managed with the help of CPAP therapy. But the improvements are only evident if the device is correctly used. 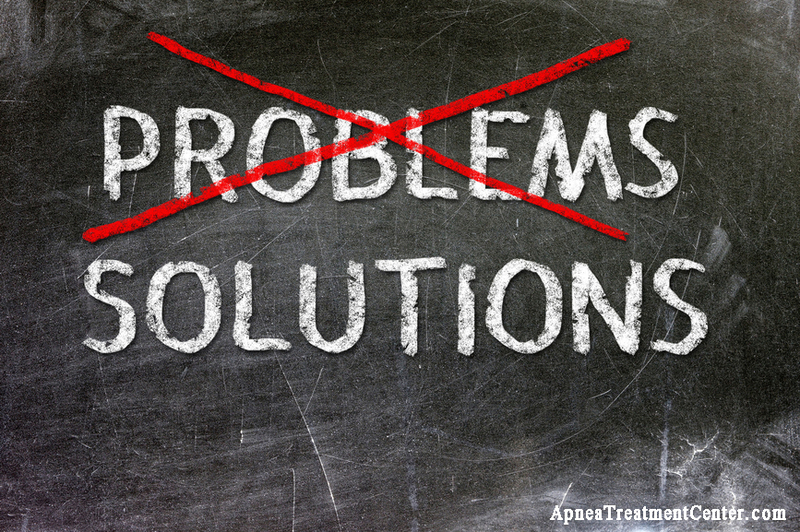 Therefore, anyone who is experiencing issues with CPAP that cannot be resolved by one of the solutions offered above should consult his doctor about alternative options. In light of today’s advancements in medical science, there is absolutely no reason to continue living with the dangers of OSA. An inconvenience that is often unknown to new CPAP users is the restrictions that the hose places on one’s ability to turn over in bed (in other words, sometimes you get tangled up in the hose!). A simple and affordable solution to this is to use a CPAP hose holder. 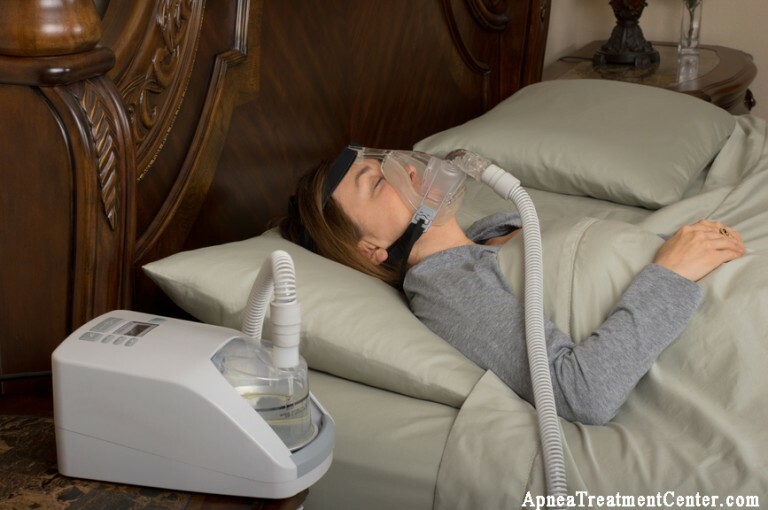 A final obstacle that many sleep apnea sufferers have encountered is conveniently traveling with their CPAP – whether that be on a trip for business or pleasure, camping, or any other time spent away from one’s home. In addition to advances that have reduced the size and weight of many CPAP machines, there are also been recent products such as the CPAP battery backup that have made traveling with a CPAP far more convenient.